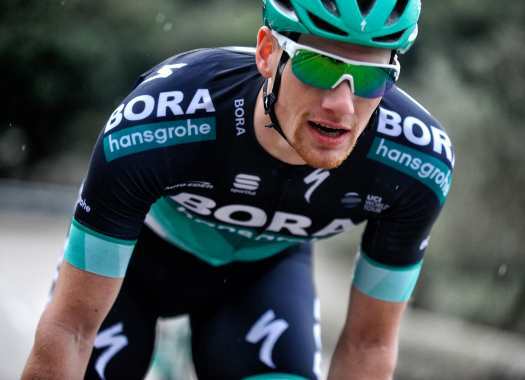 Bora-hangrohe's Sam Bennett has taken the victory in the final sprint of the Giro d'Italia despite thinking it was not going to happen. After two finishes in third position, Bennett was starting to lose the hope in taking a victory at the Giro d'Italia, but a strong sprint proved him wrong. "I feel relieved, I've been so close so many times in the Giro," he commented at the end of the stage. "There are so many good sprinters here and it's not easy to beat Viviani, he really knows what he's doing but my time came. At one point I thought it would never come but now I just want to thank the whole team and everybody that helped come to this point." The key for Bennett's success was to stay at Viviani's wheel almost until the last moment. "I just had to get that wheel and a have a bit of patience as well," the Irish explained. "I had to freewheel for a moment because I knew that otherwise it would be a bit too early and when the time was right I really took it on."